With the Golf Club secure attention was now focused on updating the course. In 1937 the Club commissioned James Braid of Walton Heath to upgrade the course. Braid's alterations created the present course layout with the exception of the 5th where the 190 yard left bunker has been removed, the 7th were the loss of the green in the 1970's resulted in large scale changes, and the 15th where the 230 yard bunker has been replaced with a mound of trees. James Braid made further recommendations for the 17th and 18th at a later visit, which were re-modelled to the present layout. The work took 2 years to complete. The course has essentially remained James Braid layout apart from certain bunkers having come and gone and some elms being felled in the 1970's due to disease. 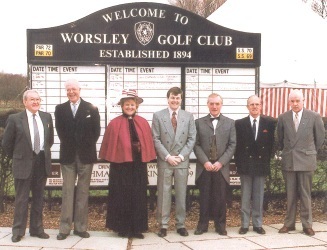 In 1994 Worsley Golf Club's Centenary Year was celebrated in style. 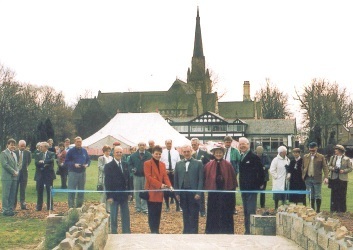 In March of that year the Centenary Bridge which crosses the brook at the first hole was opened. The principal focus of the celebrations was the Centenary Week beginning 25th June. Fortunately, the weather was fine all week, as was the Golf, with both the amateur course record (Daniel Harding with a 65) and professional course record broken (Raife Hutt - pro Birkdale with a 66).